Photo: Nootdorp, Netherlands-based folk dance troupe Tuuletütred on International Dance Day. 29 April 2018. For many diaspora Estonians in North America, making it to the Laulu- ja Tantsupidu in Tallinn is a nearly religious pilgrimage — a must at least once in their lifetimes, whether singing, dancing, or simply spectating. 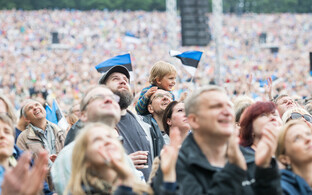 For significant numbers of more recent Estonian emigrants, however, the Estonian Song and Dance Festival is still eagerly anticipated, despite the homeland being a relatively short plane-, train- or ferry-ride away. Ahead of the double-jubilee event, nearly three dozen choirs and folk dance troupes from Europe but also Turkey and even Australia are hoping to earn coveted spots in the festivals. While it will be a while yet before the final list of qualifying diaspora choirs and folk dance troupes is confirmed, it appears as though the their numbers are on the rise regardless. 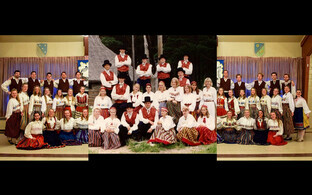 According to some quick numbers provided by Song and Dance Celebration Foundation communications director Sten Weidebaum, a total of 20 choirs and seven folk dance troupes participated in the 2009 Song and Dance Festival, 21 choirs and 14 dance troupes took part in the 2014 festival, and, as of late February, 25 choirs and 27 folk dance troupes in all were vying for limited spots in the jubilee Song and Dance Festival this year. 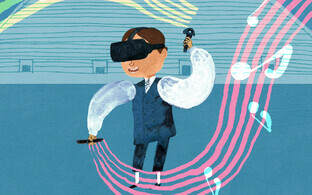 527 collectives with 10,100 singers and instrumentalists took part in the Song Festival, which is more than 4,000 participants more than in the previous Song Festival. 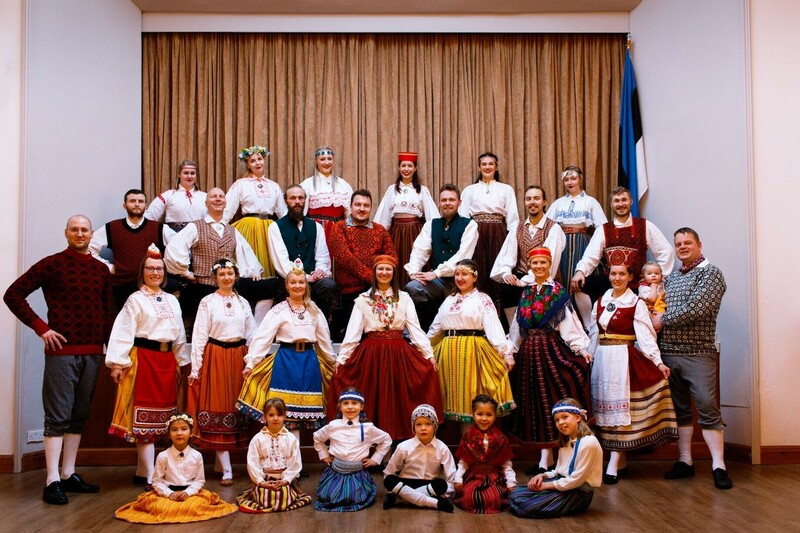 36 Estonian collectives arrived for the Song Festival from outside of the Governorates of Estonia and Livonia, with choirs from Upper Suetuk, Simbirsk [modern-day Ulyanovsk] and Yevpatoria among those to arrive from further away. 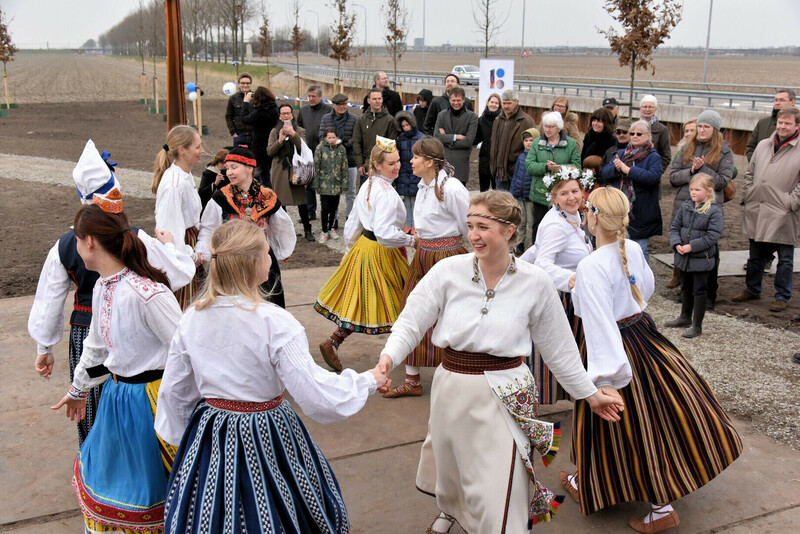 He also noted that a passage in "75 Years of Estonian Dance Festivals" referred to the arrival of 80 diaspora Estonian spectators on the steamer Kalevipoeg together with 23 folk dancers from Sweden for a festival taking place at the same time as the IX Song Festival in 1928. 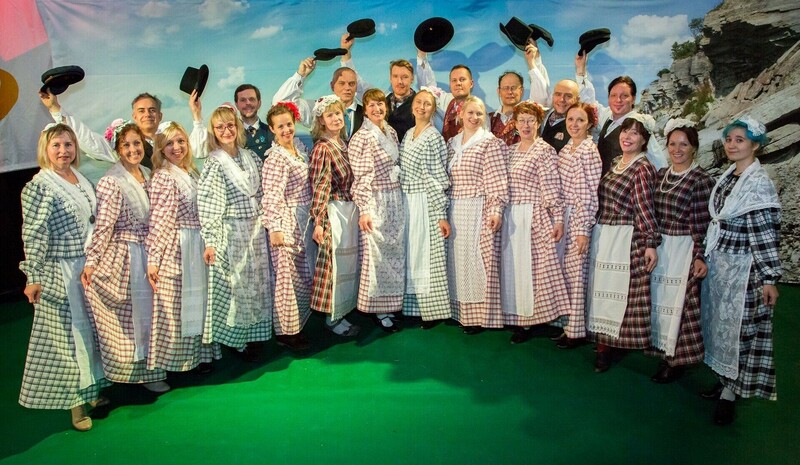 This year, as the Song Festival turns 150 and the 20th official Dance Festival is held, the popularity of the dual event has exploded in comparison, with one Stockholm-based diaspora Estonian choir alone boasting as many singers. Children's, women's and mixed choirs as well as mixed, women's and family folk dance troupes from as close as Helsinki but as far as Australia are putting in the effort to compete with local Estonian collectives for limited spots on the field at Kalev Stadium and under the iconic arch at the Song Festival Grounds. 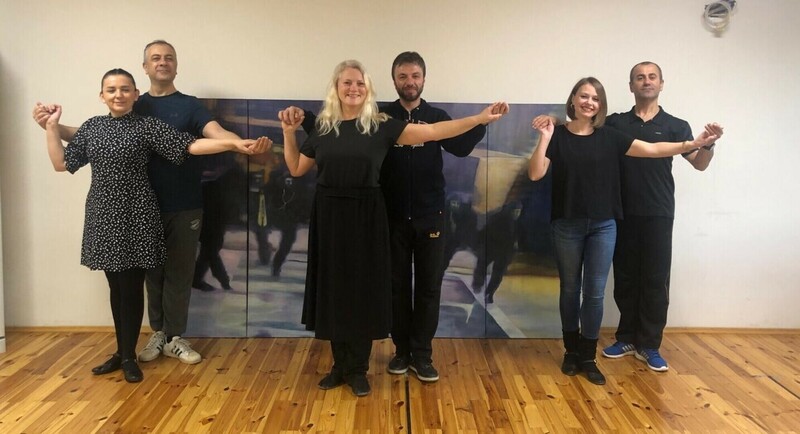 "Worthy of note is the fact that every dancer and family's financial contribution to preparations for the Dance Festival has been considerable," said Heli Vija, head of the Finnish folk dance troupe Vingerpussid and Finnish-Estonian family troupe Vingerpere. "Not all interested parties have even had the means to make such expenditures." Surely a Finland-based troupe, located just across the gulf, wouldn't incur such financially limiting expenses? 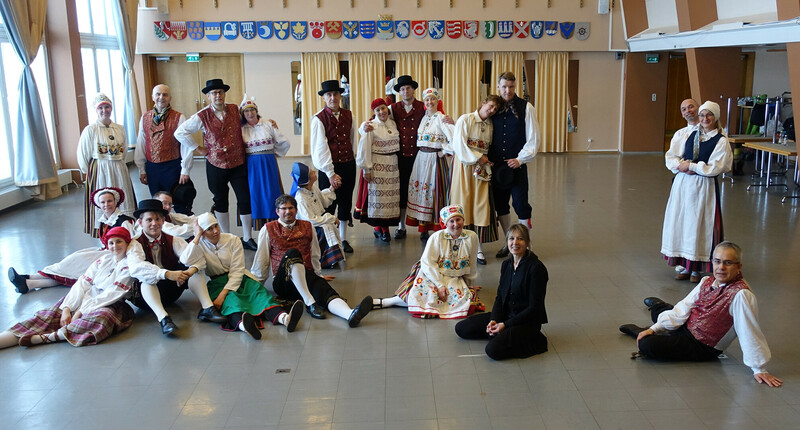 According to Ms Vija, her troupe's dancers actually travel up to 250km to attend rehearsals, and part of the family troupe actually resides in Viljandi — in Central Estonia. In practice, this means intensive training weekends, Airbnbs, and coordinated rehearsals in multiple different locations. "It takes approximately 11 hours to travel fro Viljandi to Pori, and the same amount of time back," she noted. Another perhaps saving grace for many diaspora groups is the fact that their folk dance troupes will not be required to wear matching folk costumes — as long as each dancer's individual set is authentic. This is a boon to many diaspora Estonians, who have inherited or bought very different folk costumes for personal wear over the years and even decades, and for whom a new set, let alone in multiples of eight, would be prohibitively expensive. Nonetheless, others have used the stiffer requirements as an excuse to finally pull the trigger on ordering all new matching folk costumes. 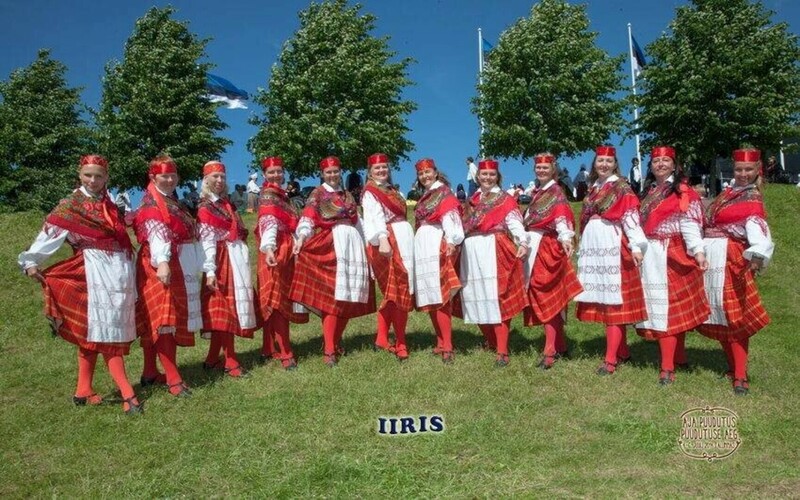 "It has been a longtime dream of ours to finally get our very own folk costumes," said Anneli Suurkivi, head of the Ireland-based women's folk dance troupe Iiris. "We attended the last Dance Festival in borrowed costumes. This time we had our very own folk costumes made. We are very excited to see them!" After weighing the pros and cons of several possibilities, one new folk dance troupe was ultimately left with no choice but to order all new folk costumes from Estonia, having raised money to pay for the costumes themselves after being rejected for any sort of support. 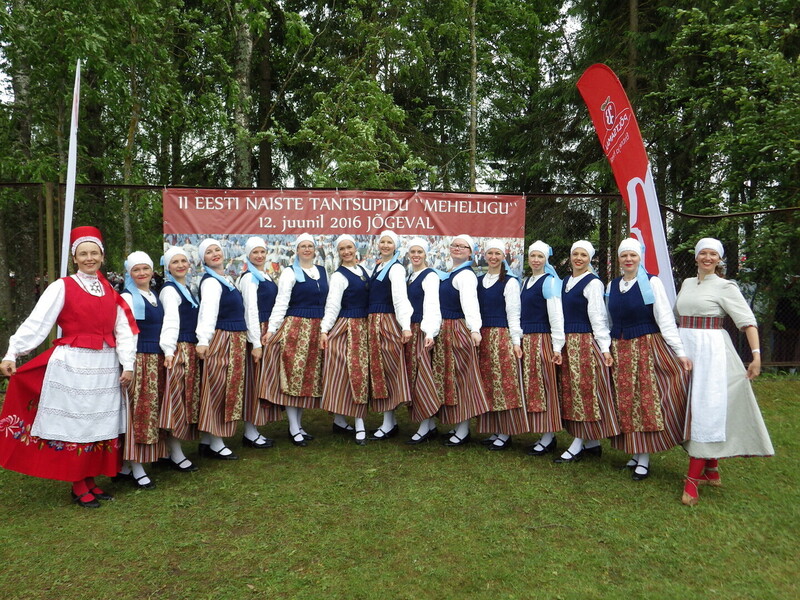 "The headdresses, aprons and blouses were made in Tartu, we ordered the cloth for the skirts from Latvia, the skirts were made in Tallinn, and the belts were made in Türi," Helsingi Helmed leader Marve Nakus said, describing the diversified approach they took to having their Maarja-Magdaleena folk costumes made. "Everything went very smoothly, and in great confidence," she continued. "We never even saw the person who made the blouses, headdresses and aprons; we did everything by phone, internet and mail. I didn't see the person who made the skirts until I went to go pick up the final skirt. All of these craftspeople are very qualified. This was top-quality work!" Several hopeful collectives also include members travelling from several countries to participate and even non-Estonians. 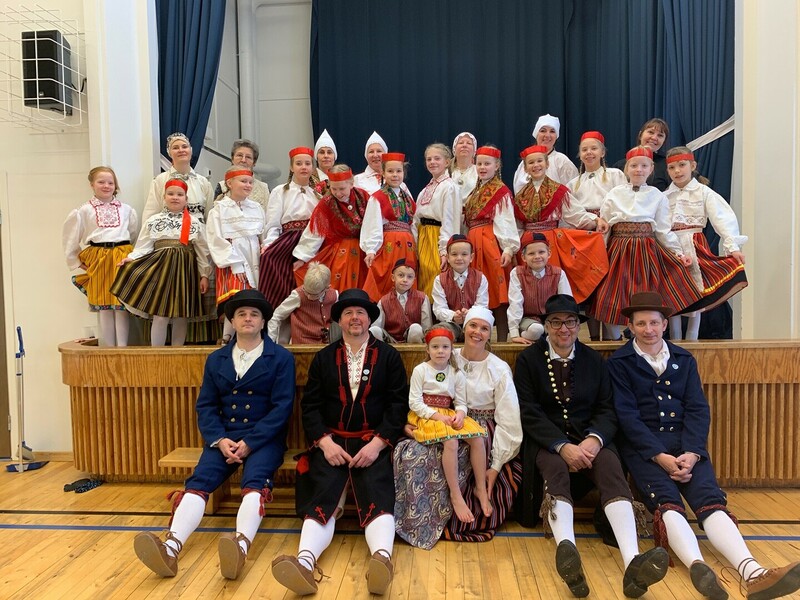 "We have two troupes in London — a family troupe and a mixed group — which we refer to as international, as the Estonian dancers are from Finland, Denmark, Spain and even Estonia," said Marje Remmet, head of the UK-based Estonian Folks International. "A Polish boy also dances in one of the troupes as well." 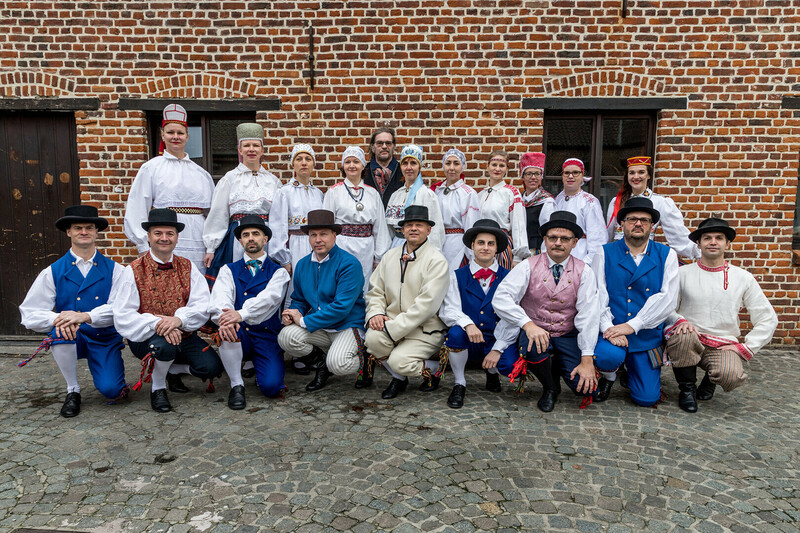 In Brussels, the heart of the EU, the folk dance troupe Euroviisud brings together Estonians working diplomatic or NATO-related and similar positions and their spouses, and while such work sometimes lends itself to truncated folk dance careers, the situation leads to a more diverse membership as well. Many dancers are also nonetheless veterans of the festival. 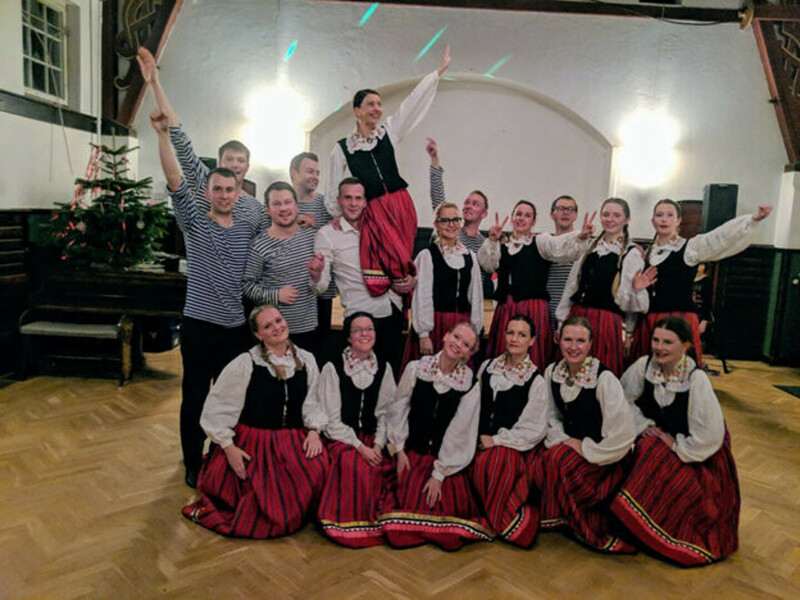 "Among the ranks of Estonian dancers are a German from Chile and a Latvian, both of whom are married to Estonians and thus fully integrated into the Estonian environment and dance culture," said Euroviisud leader Mari-Liis Jõõts. "At the last Dance Festival, we had an Estonian-Belgian couple among our ranks. Our oldest dancer is over 50 years of age; our youngest is 20 years old. People have not only come to dance with their spouse our friend; one couple also consists of a mother and son. Our troupe includes both those for whom this would be their first Dance Festival as well as those who have danced or sung at the festival in various collectives since childhood." While the approach of a Song and Dance Festival often sees the expansion of existing groups, the revival of old ones and even the establishment of new ones as people are eager for a chance to perform in the festival, and a particular boom has been noted ahead of the double-jubilee festival, at least one European group indicated that some of their regular members have gone the exact opposite route. "The majority of our dancers live in Oslo, but some fly in from Ålesund, Riga and the UK," Viikingid leader Helen Suurna-Garcia said. "As the entire troupe gets together only once a month, our dancers have to do a fair amount of independent work between practices so that we can get on with fine-tuning our dances when we get together instead of starting to learn things from scratch again. There are also dancers who aren't interested in the stress and intensity involved in preparing for the Dance Festival, so they have gone on a year-long hiatus and will join us again after all the Dance Festival hubbub is over." 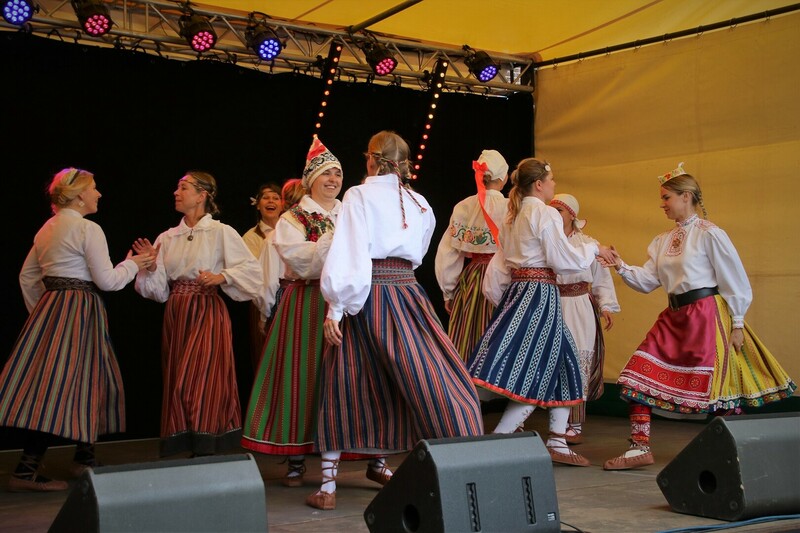 A lack of male dancers seems to remain a struggle for folk dance troupes regardless of where they are based, however, and the Viikingid admitted that they have struggled with it as well. "All the greater was our joy when we managed to recruit our last male dancer from a floating sauna in Oslo," Ms Suurna-Garcia recalled. The question of whether or not diaspora Estonian collectives are or should be given special preference in qualifying for the Song and Dance Festival was a divisive one across responding choirs and dance troupes from North America, where many singers and dancers are the immediate descendants of World War II-era Estonian refugees, and the troupes themselves founded by Estonians in exile, while the homeland would still be occupied for decades yet. While many of the contender groups across Europe are populated by more recent emigrants, it seems as though attitudes toward this issue are nonetheless just as divided. Representatives of several collectives indicated that they had not noted any evidence of diaspora groups being given preferential treatment, and did not believe that they should be. 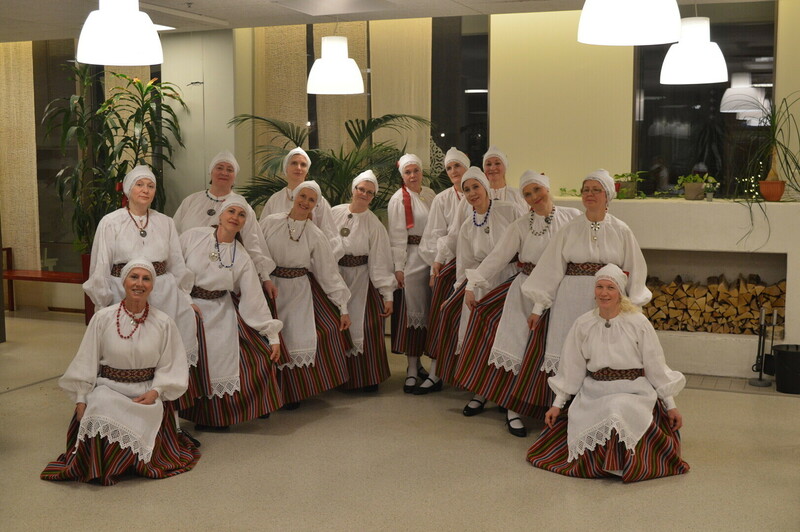 "I don't know if any preference has been given, and whether it should be," said Toivo Siibe, head of the Finland-based folk dance troupe Ülelahedad. "If I had to recommend anything, it would be our own quota system and our own preliminary rounds." Still others, however, found that some leniency would not be amiss. 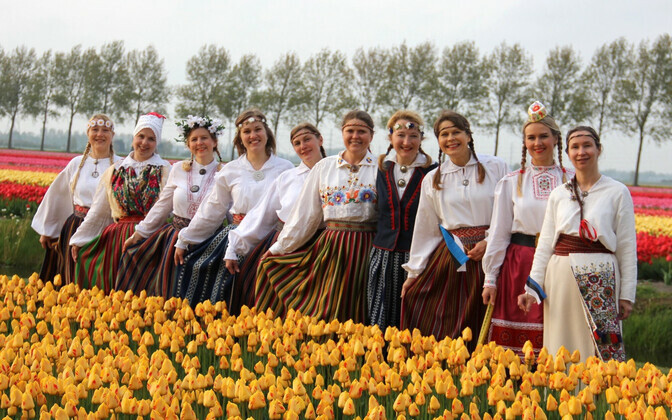 "We have to put in a lot more effort, and especially if the dancers don't live in the same city, when it comes to planning practices, there are a lot of logistics and more expenses involved as well," said Maria Killing, leader of the Dutch women's folk dance troupe Tuuletütred. "So I believe that diaspora groups should be judged a little less harshly." One argument in favour of special preference for diaspora collectives has been the importance of acknowledging the efforts of Estonians in exile to keep Estonian culture alive during decades of occupation back home, an argument that some critics believe has lost its justification a quarter of a century after Estonia regained its independence, in effect giving all diaspora Estonians the opportunity to return to their homeland. As free Estonians continue to emigrate by the thousands each year, particularly within the EU, the matter of maintaining ties with one's homeland remains as pertinent as ever, especially as new generations of väliseestlased are being born abroad — if not thousands, then often still hundreds of kilometres from Estonia. And this, one dance troupe leader found, is where the Song and Dance Festival could continue to play a key role. "I have not encountered any special treatment," said Mari-Liis Kivioja, head of Luxembourg dance troupe Laiali. "At the same time, it has to be understood that choirs and dance troupes operating outside of Estonia do so under different conditions than their counterparts in Estonia. 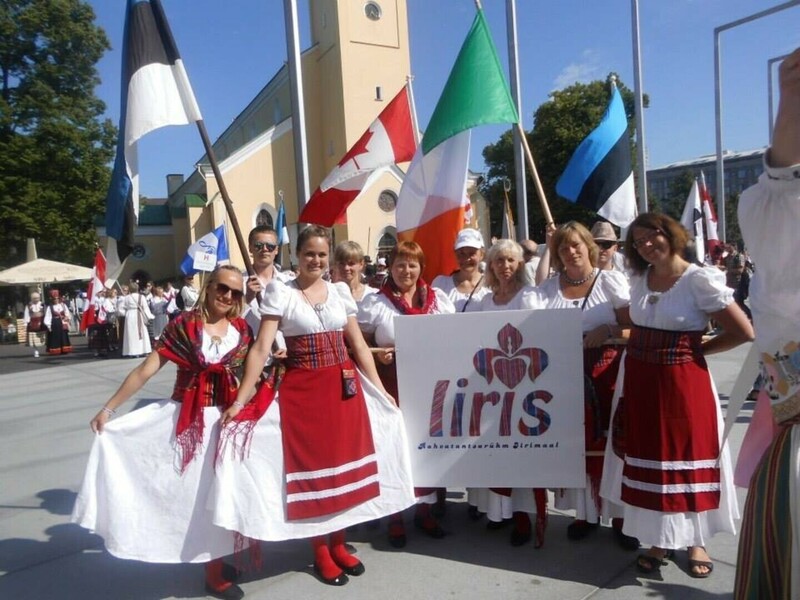 I certainly believe that diaspora Estonian children's choirs and children's dance troupes deserve special treatment in order to further deepen these children's ties with Estonia. In the long term and the bigger picture, these ties are very important and deserve some concessions." 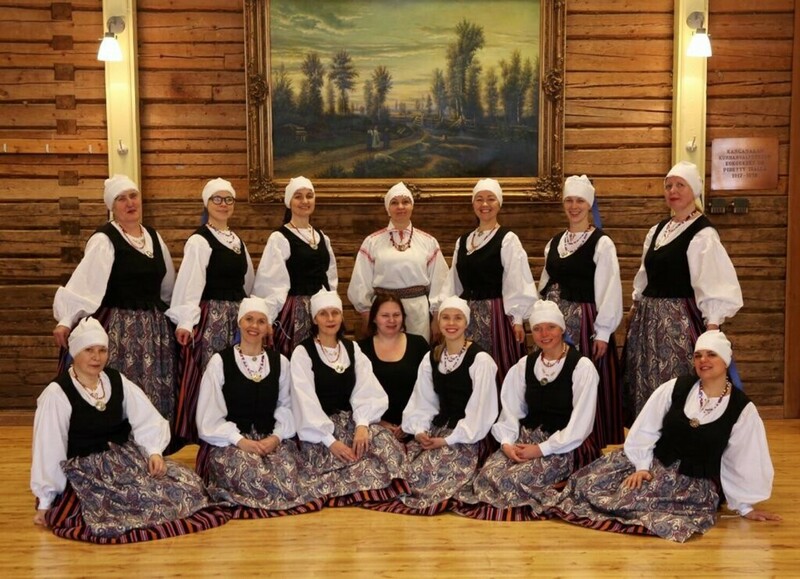 While many diaspora choirs and folk dance troupes have either already received good news or are still awaiting their fate, one unique group's road to the Dance Festival has already come to an end. 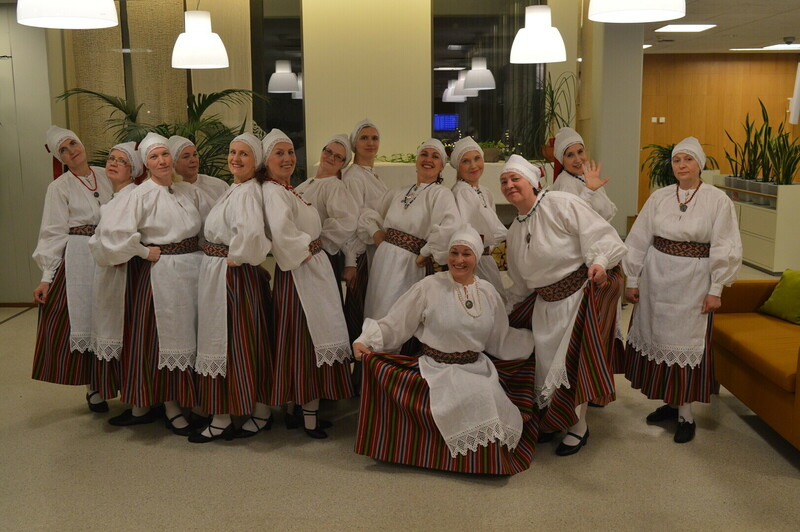 The Istanbul-based folk dance troupe Meri, perhaps the first of its kind in Turkey, failed to make it past the first round of qualifiers for this summer's Dance Festival, and according to Aigi Karakaya, its self-taught instructor and sole Estonian member, they were given three reasons why. First, the group was deemed not technically good enough. "I tried to find a visiting dance instructor using social media, but was unsuccessful," Ms Karakaya recalled. "Potentially interested instructors were asking for remuneration for their services, however we were lacking funds. I ended up learning the dances myself from the videos available online, and I taught them too — in Turkish, by the way. Later, when the books arrived, I checked through the details to see if we were on the right path. I have no specialised education in dancing." Second, the group did not meet the requirement of authentic folk costumes in time for filming. While the dancers had begun researching makers and prices well in advance, it did not have enough extra funds to take the plunge of ordering expensive folk costumes without firm commitments from possible dancers, and Turkey's very small Estonian community did not have any folk costumes to loan them either. "Folk culture-wise, we are in much worse shape compared to traditional Western countries where there are many Estonians around," Ms Karakaya noted, referencing larger and more established diaspora Estonian communities, some generations old already. "Estonians in Turkey have mostly established themselves after around 2010, and we don't have a long tradition of Estonian national events being held or folk costumes being worn. I actually personally do not remember a single event where [Estonian] folk costumes would have been worn." She said that the group ultimately decided to take the risk and dance without the required costumes. "I notified the organisers that we would not have folk costumes in time for our first presentation," the instructor recalled. "We just had to take that risk — we, too, wanted to go to the Dance Festival no matter what, and people had shown up to practice the dances for months already." But this, along with falling two dancers short of the minimum of four couples, or eight dancers, proved fateful for the Turkish group. "Us not wearing folk costumes during our presentation in the video was one of the three reasons we did not get through the first round." Nonetheless, Ms Karakaya remained positive about her group's experience. 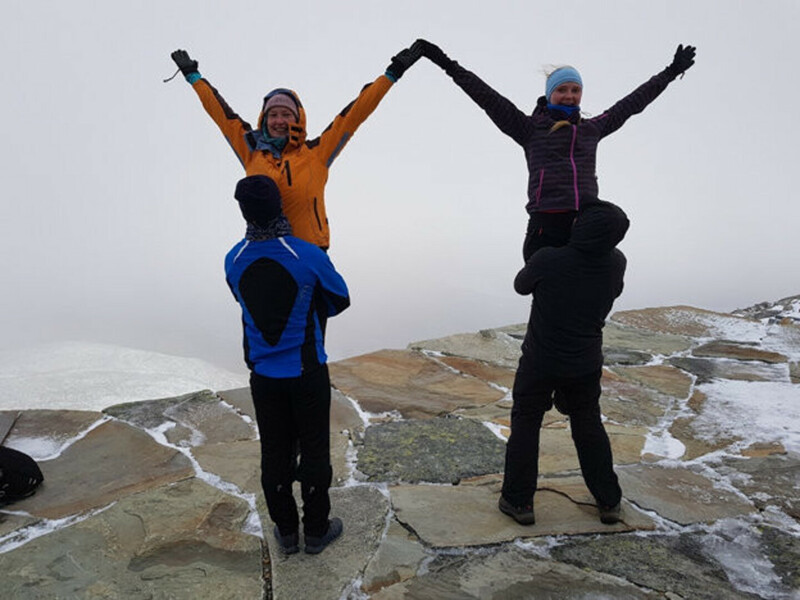 "I was always amazed by the enthusiasm of our group members," she said. "They put up with my pushing them to learn fast and dance better. We got together twice a week between other dance classes; half of our group members are folk dance teachers, and half of us are these teachers' students — me included. We worked together as a team, and all the teachers pitched in where needed." She also highlighted the significance of the small troupe's very existence as a trailblazer in their region. 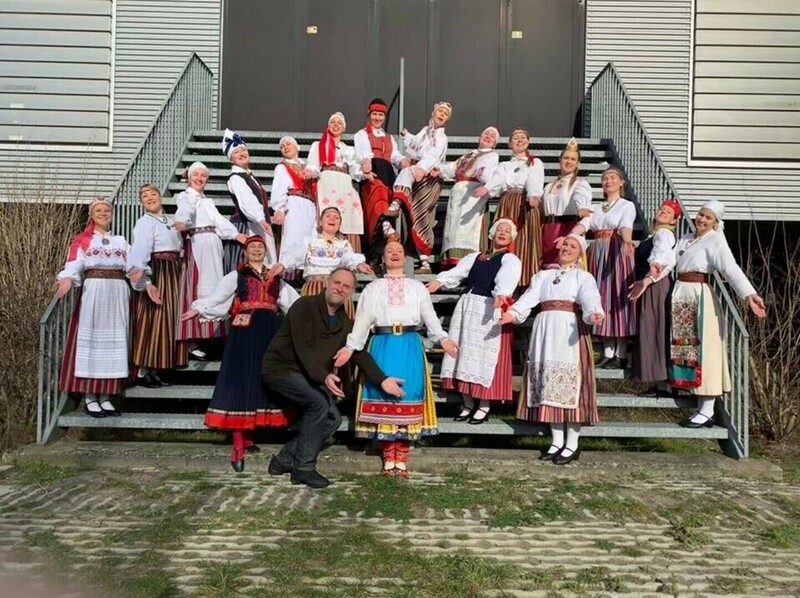 "We are the first ever Estonian folk dance troupe in Turkey, and perhaps the only diaspora Estonian folk dance troupe capable of dancing Estonian as well as the local country's folk dances," Ms Karakaya said. "For the last decade or more, it has been very popular to be involved with interdisciplinary research and activities. 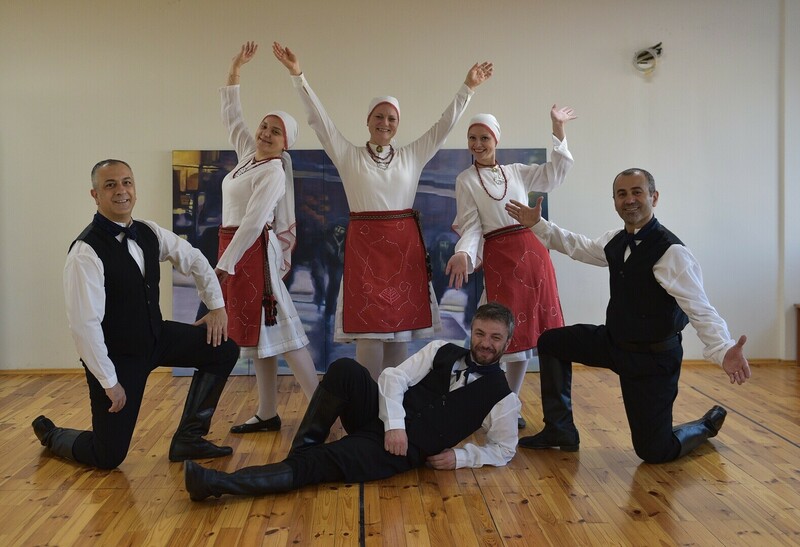 We are pioneers in folk dance with our interdisciplinary perspective: we can dance Estonian but also Turkish, Balkan, Greek and Caucasian folk dances."